The day will start with a nice breakfast near our first travel destination. After filling up with the delicious native foods, we take a boat tour to Cinnamon Island, a place which many tourists like to visit. We will walk around the island, exploring the wonderous place. A man doing his job on cinnamon island. After visiting Cinnamon Island, we will head over to the beautiful Bentota Beach and stay there for the rest of the day. We will watch the beautiful sunset while the water crashes beneath our feet. 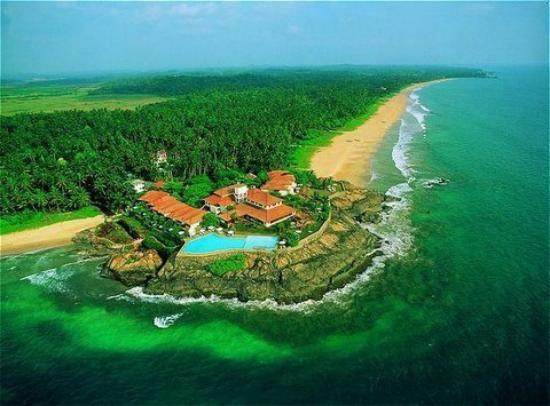 An aerial view of Bentota Beach.